Feb. 20, 2018 -- Cleaning may be good for your home and finances, but it may not be as good for your health. The University of Bergen researchers analyzed data from 6,235 participants in the European Community Respiratory Health Survey, of which 53% were women. They followed them for more than 20 years. The amount of air that women forcibly exhaled in 1 second (known as forced expiratory volume -- FEV1) declined faster in those who cleaned at home and even faster in women who worked as cleaners. FEV is a measure of lung health. Men who cleaned, either at home or at work, did not have a greater decline in FEV1 than men who did not. The researchers said that the decline in lung health may be due to the irritation that most cleaning chemicals cause on the mucous membranes lining the airways, which can cause long-term changes. Study limitations include the fact that very few women who did not clean were included. Also, the number of men who worked as occupational cleaners was small, and their exposure to cleaning agents was probably different from women who worked as cleaners. Lead study author Øistein Svanes says that in the long term, cleaning chemicals are very likely to damage your lungs. 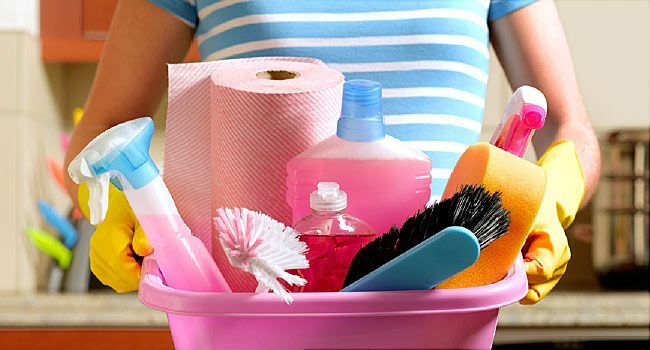 He says that usually, you don't need chemical cleaners, and microfiber cloths and water are enough for most household cleaning. American Journal of Respiratory and Critical Care Medicine: "Cleaning at Home and at Work in Relation to Lung Function Decline and Airway Obstruction."